Thank you for getting in touch with Aveda Institutes Boise and Twin Falls. We’re excited to show you what we have to offer. An admissions representative will call, email, or text you shortly. While you wait to connect, check out our blog! 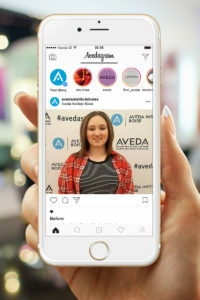 Be sure to follow us on Instagram to hear inspiring stories, help us celebrate our students’ achievements, and see the results of their hard work in our student salons! Follow Aveda Institute Twin Falls here! Follow Aveda Institute Boise here!